Customer facing brochure for AT&T Business Fiber (ABF). ABF is a broadband access service in AT&T Fiber Ready Buildings that uses advanced, IP-based technology and a fiber backbone to connect devices such as computers to the Internet. AT&T Business Fiber provides speeds up to 100 times faster than the average U.S. broadband connection. 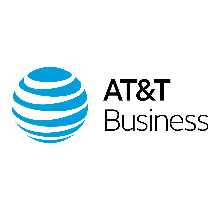 Because AT&T Business Fiber provides downstream and upstream speeds (symmetrical and asymmetrical) of up to 1000 Mbps (1 Gbps), customers can quickly and easily download files, view graphic-intensive websites, and handle eCommerce transactions. In addition, businesses can manage peer-to-peer networks, back up critical data to (and restore it from) the cloud, and even use interactive video for teleconferencing or monitoring. As a result, your business can be more efficient.